The In Stock Full Lace Wigs Guides. What are they? What Are In Stock Full Lace Wigs? "What are in stock full lace wigs?" 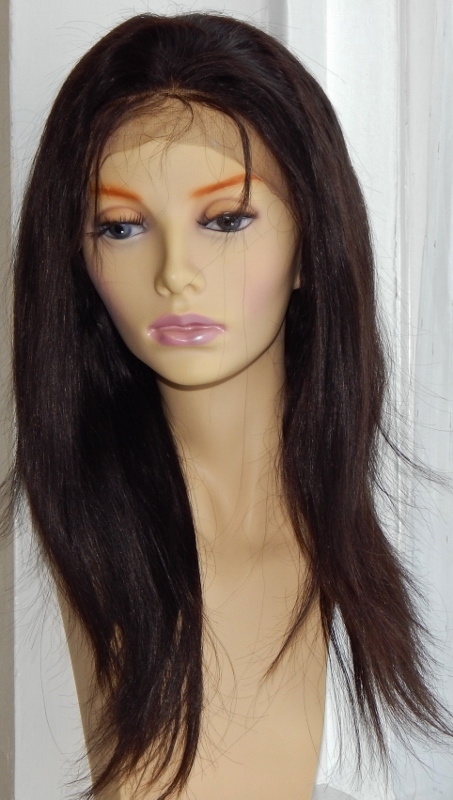 As the ubiquitous term... in stock full lace wigs. On your way to choosing the right Peruke, you will defo come across this term, which which can also be used for lace front wigs. On your travels on the internet you’ll have notice a big call for stock lace front wigs or in stock lace wigs: what are they and why the big deal? In stock wigs are basically wigs that online stores have in stock. Is it a stock lace wig or is it a custom lace wig? When you come across sites that have drop down menus for the stock lace wigs, it’s almost like going to a restaurant and given a salad menu. You can choose what ever you want from the menu because all the ingredients are in the kitchen, so have your Caesar salad with or without chicken. Have your lace front wig with or without highlights. The main things to think about when you’re buying your in stock lace front wig are whether the add-ons attract a charge. ...We’ve all bought computers where the company charges for everything they think is an extra; like cables or different drives… but these are things we (the customer) think are bog standard. It’s the same with some wig sites. Whilst it may say that there 12 inch silky straight black wig with bleached knots, brown highlights is £160.00 the drop down menus show that if you want more highlights, that’s extra, if you want clips around the whole perimeter that’s extra etc. The fact is standard stock lace wigs are the easiest for manufactures to make and are usually sold without all the extras like highlights, clips and combs or single tied knots at the front. A site that asks whether you want these things or not, is really asking you to customise the wig, which means, you aren’t buying an in-stock wig. With this in mind, "in-stock" lace wigs shouldn’t cost more than a custom made wig; in stock wigs should be the most affordable lace wigs. So if you find that a website’s cost for an "in-stock" lace wig is almost the same as a custom wig – a wig you completely customise – then you’re probably being over charged. Another convenience is that in stock full lace wigs should arrive within one week. "In-stock" can actually refer to the stock that suppliers hold as opposed to the retailer… and since you’re thinking it, we’ll say it: custom wigs should take no more than 10 weeks as an absolute maximum to arrive – that’s 3 - 5 weeks to make and another 3 - 5 weeks to be dispatched, checked by the retailer and then delivered to you. So there you have it, the low down on these ready to wear, in stock full lace wigs.